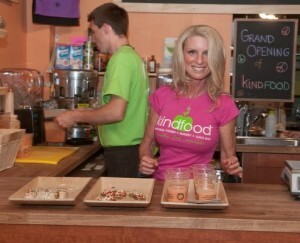 Kindfood is part of the “food revolution”. There is a shift in consciousness sweeping our relationship to our food and our world. People are becoming very aware about the food they are eating, where it comes from, how it is made, what it is made of, and how it directly reflects who we are. We are learning that, “you are what you eat”! Our food choices are also a very important part of our environmental challenges. Eating whole organic plant-based foods is not only the healthiest choice you can make for you and your family, it is also good for the planet, and it tastes better. Join us as Kelly helps us to make food choices that are an indication of our respect for ourselves and all living things. Next post: Kundalini Rising with Lawrence Edwards, Ph.D.